Bontrager bike helmets look great, fit great, and are hassle-free to set up. Because no matter what kind of rider you are, you shouldn't have to sacrifice comfort and style in order to be safe. Learn More. Keep track of your ride and fitness with a Bontrager or Trek wireless bike computer. 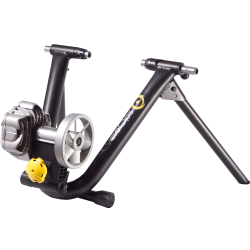 From basics like speed and distance to more advanced functions like heart rate and power, our cycling computers offer the performance, reliability, and ease of use you need to know how far, how fast, and how hard. Learn More. Off-bike fashion meets on-bike function with Bontrager's line of utility, performance, touring and recreation bike seat bags. We offer a variety of bags from simple seat packs to Interchange shopping bags that can be quickly removed for quick strolls through the grocery store. Learn More. Increase your bikes hauling capacity and your comfort by adding a versatile and sturdy rear bike rack to your bike from Bontrager. With styles that mount directly on to a bicycle's frame to those that fasten on to the seatpost, Bontrager racks are an easy way to add additional utilitarian function to your bike. Learn More. Toto never had it so good! 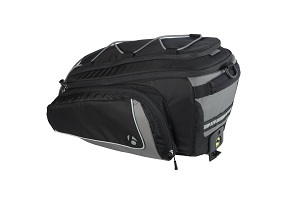 Bontrager offers a line of front and rear bike baskets for simple, stable gear storage and fast getaways. Throw your stuff in the basket, hit the road and quickly access your jackets and furry friends when you arrive at your destination. Learn More. Designed for easy installation and seamless performance, Bontrager bike fenders add convenience and versatility to any ride. They keep you dry when the weather is wet because riding can't stop with a little rain. Longer rides and hot days require hydration. Bontrager offers a variety of bike water bottles and bottle cages to keep fluids close at hand. Learn More. Be seen, be safe! With top notch optics, all-weather construction, and long lasting, ultra bright LED luminance, Trek's family of bike headlights and tail lights is ready to provide the visibility you need for early morning and late night riding. Learn More. Properly inflated tires are essential for both performance and safety. Take the chore out of routine tire inflation with a quality bike pump from Bontrager. Designed to be ergonomic and accurate, each Bontrager floor pump features a tire pressure gauge and can be used on both Presta and Shrader valves. Learn More. Selecting a bike saddle is arguably the most personal component choice made by any rider. That's why every Bontrager saddle is backed by the Unconditional Comfort Guarantee — so you can be confident in your choice. Learn More. Need to make a quick fix on the road or trail? 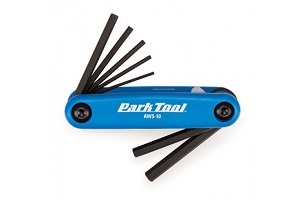 We have a selection of bike tools that allow you to fix most problems without having to tow the workbench behind you. Plus, we're an authorized Park Tools dealer so we can set you up with the same tools we work with every day. Learn More. If you just can't wait till spring or want to stay active on a rainy day, you need a trainer. Cycling trainers let you ride your bike indoors as if you are riding outside. They simulate a variety of riding conditions - some models actually apply resistance at certain intervals to simulate hilly terrain. Learn More. We carry a full stock in all kinds of bike pedals, traditional platform, toe-basket, and varies types of lock-in for the more serious rider. Learn More about Shimano pedals. Learn More about Speedplay pedals.